First and foremost, this is an unfair task. You see, there are great free and fun games but those may be overshadowed by commercial games that became free. Titles like The Suffering, Psi-Ops or Area 51 are great picks, and we’re not even mentioning temporary free games (ad supported) like the fabulous Far Cry or Prince of Persia: Sands of Time. Anyway, today we pick 10 of the best free PC games for you to play. If you prefer the creations of hard-working people who are seldom recognized, then you need to read our Top 10 Free Independent Games. By the way, if you’re wondering why free MMO’s aren’t included in the list that’s because our sister website FreeMMOStation.com knows it all. Head over there right now! In 2003, unknown French developer released a little racing game named TrackMania. It stood out of the crowd due to its track editor and the absence of collisions. It was just player against the clock. 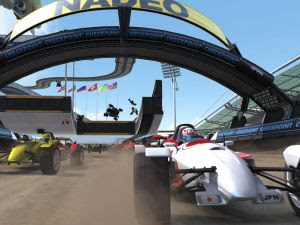 The franchise quickly expanded, and first came TrackMania Nations, a freeware stand-alone game that became hugely popular. In April 2008 TrackMania Nations Forever was released, still free, still fun and with a lot more content. TrackMania 2, a commercial game, is in development for a while now. 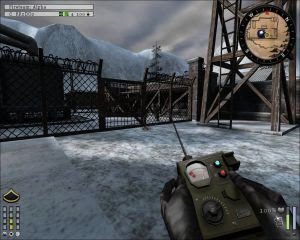 The Suffering was released in 2004 by Midway and became a free for download PC game on September 2008, supported by advertisements. 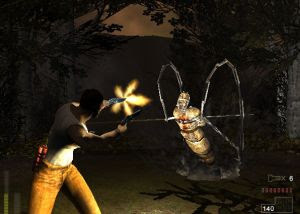 This was considered a competent entry in the survival horror genre, focusing on Torque, a man wrongly accused of murdering his wife and two children – or maybe not, since The Suffering provides three completely different endings depending on the players’ actions. Midway, we’re waiting for the sequel, Ties That Bind, to become free to download, ok? ‘Hey, let’s make an expansion pack for Return to Castle Wolfenstein!’. Great idea, or so they thought. The single-player aspect turned into a whole mess, leading Splash Damage to give up. Well, not entirely. In May 2003 they released the multiplayer portion as a standalone free MMOFPS game, to great success. So much, in fact, that a commercial sequel, Enemy Territory: Quake Wars, was released in 2007. This is a great free MMO FPS. 4 - Sam & Max Episode 4: Abe Lincoln Must Die! 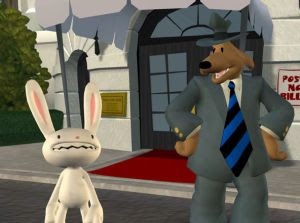 Telltale Games made a great job of resurrecting detective duo Sam & Max, and the episodic nature made up for quite some different stories. Abe Lincoln Must Die!, where the president has gone completely wacko, has been released as freeware and is not to be missed by adventure games fans. It’s funny, it has a twisted sense of humor and although short, will surely provide a handful of laughs.